Does this mean the best new games could hit the Vive? HTC is to showcase its forthcoming Vive virtual reality headset at the Taipei Gamer Developer Forum where the aim to to partner with leading game developers. They'll be holding talks with game developers looking for more co-operation with game developers to build up 'a comprehensive ecosystem' for the HTC Vive. We hope that means an arsenal of next-gen console games could be played on one of these headsets. Not only will games developers be getting their paws on the HTC Vive, they'llll also be showing the headsets to the general public. If you fancy having a go you'll have to pop over the Channel for Paris Games Week on 28 Octobe. However it'll likely reach the UK soon after. With the HTC headset deemed to be the most expensive of the bunch, we hope to see more features from HTC brought to the VR table. The headset race is likely to hot up even more with Microsoft in the ring. The software giant is likely to reveal its latest Hololens developments after its previous showing back in June. 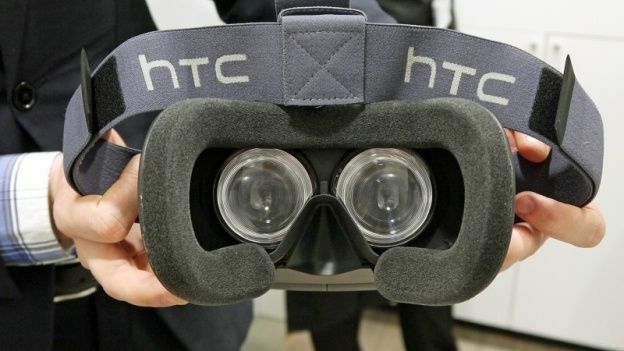 And with the likelyhood of a delayed release of Oculus Rift, HTC could be on to a winner. Don't forget to check out our Hands on: HTC Vive review.